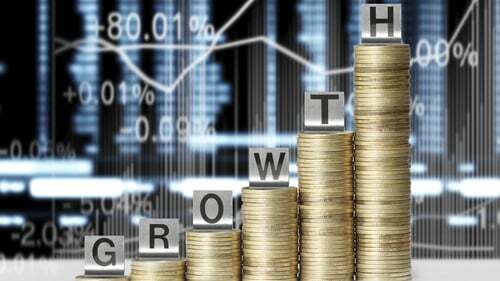 The economy grew by 7.8% of GDP last year, according to preliminary estimates from the Central Statistics Office, making it the European Union's fastest-growing economy for the fourth year in a row. The CSO said that Modified Domestic Demand - a new measure used in Ireland to remove the distorting effects of foreign multinational companies - showed growth of 3.9%. Today's figures show that Personal Consumption Expenditure grew by 1.9%. This is regarded as an important barometer of the performance of the domestic economy. The country's balance of payments recorded a strong surplus of €37.1 billion, or 12.5%, of GDP. Data yesterday showed that employment - which analysts say is the cleanest gauge of Irish growth - was just shy of the 2007 peak at 2.23 million at the end of 2017 following a sharp rise in jobs growth in the fourth quarter. Commenting on today's figures, KBC Bank Ireland economist Austin Hughes said it should be emphasised that the figures produced by the CSO follow best international practice to arrive at the appropriate measure of GDP. "However, the point is that these numbers are hugely influenced by the outsized activities of a small number of multinational companies and, as such, don’t readily reflect the spread of conditions across the Irish economy as a whole," he added. Statistical issues aside, Mr Hughes said the reality is that the Irish economy has begun 2018 with a good deal more momentum than previously envisaged. "While we had expected some headwinds from Brexit related concerns and an uncertain geopolitical environment globally, apart from some sector-specific difficulties, the Irish economy has not seen much Brexit related fall-out and even managed to move from a current account deficit into a surplus with the UK between 2016 and 2017," he noted. He also noted that a stronger than expected global economy is now acting as a tailwind to Irish economic growth. "With strong jobs growth supporting domestic spending there is scope for a further strong Irish economic performance in 2018," he added. Merrion economist Alan McQuaid also said the latest GDP numbers are very positive, especially when one allows for the distortions of intellectual property on the economy. "Looking ahead to this year, GDP figures will continue to be impacted by IPP and aircraft leasing. We expect lower overall GDP growth in 2018, but still a very healthy 5-6%. More importantly, underlying growth will probably be around 3-4%," the economist said.